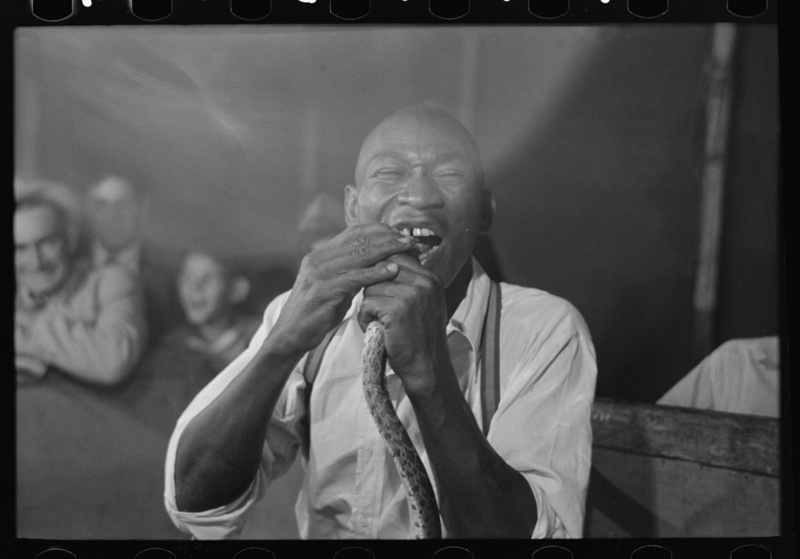 A snake-chomping Wild Man at a sideshow in Donaldsonville, Louisiana in 1938. Now, I’ve been called a geek, I’ve referred to others as geeks. You probably have, too. But this here is what the word actually means: the geek is the guy at the sideshow that bites the head off a snake or (more commonly) a chicken.